Silver is in demand! The demand has increased value of silver and people now have a great opportunity to make money. If you have coin collections, flatware or other decorative items you may be sitting on some things that are extremely valuable. We invite you to visit our store and get a free appraisal. Our silver buyers will test each item to determine its worth and then give you our best price offer. If you decide to sell to us we will pay you within minutes while you are in our store. Typically it takes less than 15-20 minutes for our customers to walk out with money in their pocket. We welcome walk-ins and offer appointments for larger transactions. Silver prices changes very frequently. The purity of your silver and market prices ultimately determine what we can offer you. All “silver items” of equal weight are not worth the same amount. We take the time to carefully evaluate each piece using multiple factors. This assures you that you will receive a fair price when you sell your silver. Silver buyers must offer you less than the current worldwide market price. The reason buyers cannot pay full market value is very basic business economics. 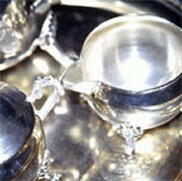 Buyers incur business costs to inventory, process (refine) and ship silver to wholesale buyers. 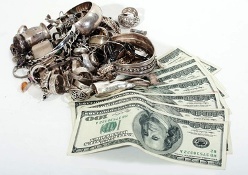 Wholesale buyers incur business expenses to prepare and resell silver to the jewelry manufacturers. The good news for you is that we are known in Mass for paying among the highest prices. If you have a price offer from another buyer, please let us give you a free offer to compare. We are confident you will be pleased at what we can offer! Because of our precious metals expertise we are able to accurately appraise your items. The Gold Rush experts are well versed in the additional value attributed to silver items due to rarity, design and provenance. Your items will be professionally evaluated in order to give you the highest price possible. All of the relevant attributes will be explained to you in detail so you fully understand the value placed on your silver items. 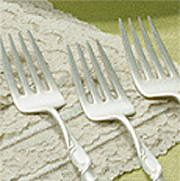 Bring in your flatware, serving sets, coins, tea sets, bars, jewelry and scrap in any condition. Sets are not required and individual items are fine. We also buy old European, transitional and old miner silver. If you have anything of true silver, we probably have an interest in buying it from you! If you have a very larger amount of silver to sell, our buyers will be happy to view your collection in your home or private setting. We welcome estate silver and gold buying opportunities. The highest price possible will be paid immediately for your items. As always, every transaction will be treated with the utmost professionalism, courtesy and discretion.